The Raumfeld Stereo M are a pair of wireless bookshelf speakers that are able to fit into the firm’s already impressive multi-room sound series. They are located comfortably in between the floor-stand Stereo L and the tiny Stereo Cubes. 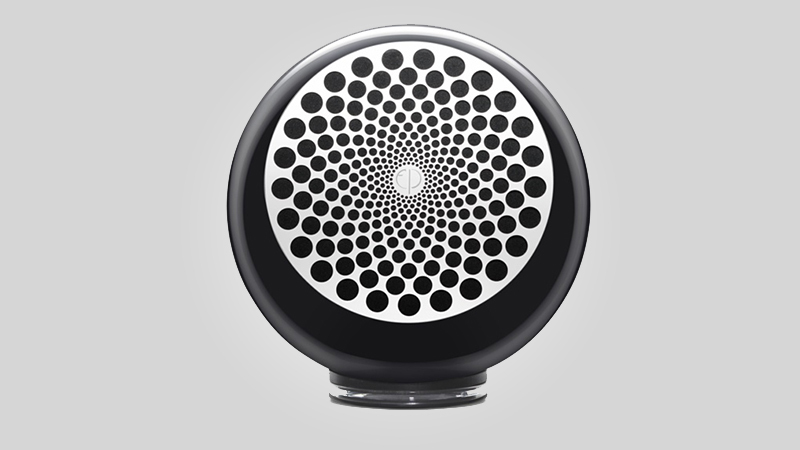 The M consists of one active master speaker, of which houses the 320-watt amplifier as well as the Wi-Fi connectivity, and the other speaker is a passive slave speaker that is connected to the master unit with the use of an ordinary speaker cable. But don’t think the Raumfeld Stereo M are your ordinary pair of bookshelf speakers. To start, this pair is quite hefty for its class. In fact, they are quite larger than what you would expect. Taking them out of their standard packaging will already require you some effort out of the box (no pun intended). While there are some speaker units out there wherein the slave unit is much lighter than the master, you might expect it to be the same with this pair. However, the heft on the two units are actually quite similar; in fact, they’re almost identical. There are only a line of controls on the brushed-metal plated situated underneath the drivers that will signify the master from the slave. As for the controls, they are neatly arranged and they comprise of a volume knob, two white status LEDs, and five unmarked buttons, of which can be quite frustrating from the start since what they do is not found in the instruction manual. Thanks to the Internet, the four unmarked buttons on the left are preset buttons that provide one-touch access towards a preferred album or radio station. As for the lone button on the right, it’s just the on/off switch. 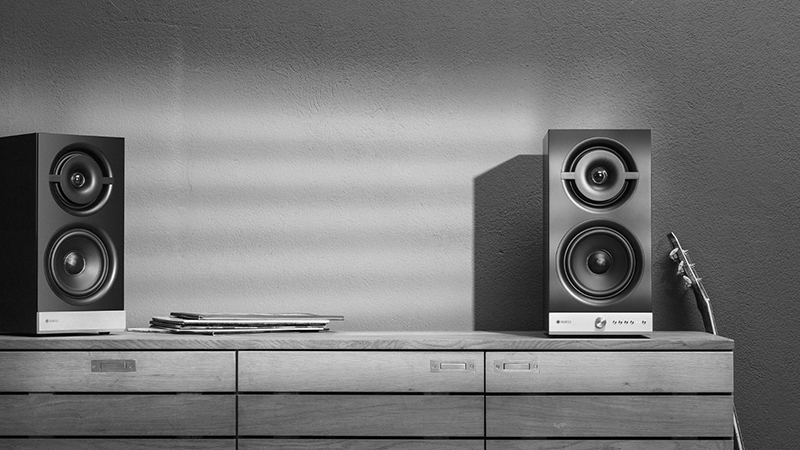 For audio performance, the Stereo M speakers are able to dish out bass with a wide soundstage. Furthermore, it performs incredibly well. Whenever the volume levels are cranked up, they do not suffer from any kind of distortions nor does it exhibit the boxiness that you might get from smaller speakers. However, when comparing it to some of its rivals like the Dynaudio Xeo 2’s, Raumfield contenders don’t offer much in some aspects of the audio spectrum. The Raumfeld Stereo M, on occasion, has bass levels that detach from the mid-range, and the treble is not at the sweet spot as some would want to expect. However, at its price point, it is quite tough to complain about such shortcomings. Ultimately, these bookshelf speakers are still a solid choice.